The name Italy conjures up so many different primal travel images: art, food, wine, Mediterranean islands and ancient ruins, restaurants in Rome and museums in Florence, picture-postcard Tuscan countrysides and gondolas on Venice's canals. While most visitors want a taste of all of it, everyone has their own vision of the perfect Italy, and everyone comes looking for different things. 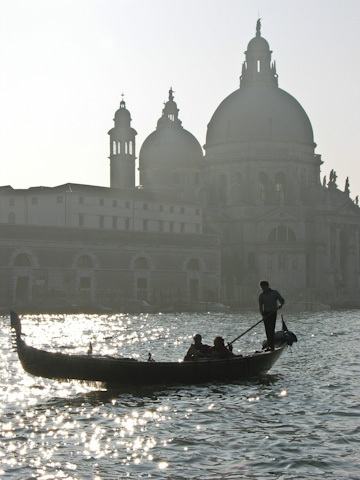 Let's put it this way: according to UNESCO, Italy is home to 40% of the art in...the...world. This is the birthplace of the Renaissance, the home of Leonardo da Vinci, Michelangelo, Raphael, Botticelli, Titian, Donatello, Giotto—the list goes on and on...and that's just the Renaissance! There's the lure of the Caesars, those ruins of ancient Rome: The Colosseum, Roman Forum, ancient Roman ghost cities of Pompeii, Herculaneum, and Ostia Antica. And who knew? Some of the best-preserved Greek temples in the world are actually in Sicily, which was once a part of Ancient Greece. Then there's the wine—Chianti Brunello, Barolo—and the amazing food. The people are ridiculously friendly and the countryside is straight out of Renaissance painting: low-slung hills striped with vines and crowned with medieval hilltowns and castles. And we all wish we could live that laid-back Italian lifestyle of La Dolce Vita, "the Sweet Life." The Italians don't live to work, they work to live—and what they live for is to eat excellent food, drink fine wine, make sublime art, and perfect the practice of romance. The lesser-known cousin to Italy's life philosophy of la dolce vita is the bel far' niente—"the beauty of doing nothing." One of Italy's joys is its ability to surprise you with the unexpected—a devoted beach hound might become enthralled by Renaissance art, and a confirmed beer drinker will discover his inner wine snob. An Italian vacation is often a study in serendipity—stumbling across a local festival, making friends with the owner of a trattoria and finding yourself invited to tour his brother-in-law's vineyard the next day, or making the wrong turn and ending up in that undiscovered hilltown that hasn't seen a tourist in 20 years. But on that road to discovering the Italy you never knew you'd fall in love with, you do have to make some plans ahead of time. We're going to make things easier for you. Sure, you can find a microcosm of everything that makes Italy great just about anywhere, but for the highest concentrations of Italy's top attractions, here's where to head.